Wow, September seems to be rolling around quickly! I am so glad that we are almost at school holiday time because I think I really need at least a few days of go slow to catch up. But, now that we are in September that means new monthly scrapping challenges all over the place. This month Charms Creations has decided on a sketch challenge. I love sketches, it takes away some of the anxiety of putting together a page and usually they come together quickly! I have also used some of the new products in the shop on my page. A fab skull star and also two of the terrific tabs. I can see myself using these a lot in the future too! 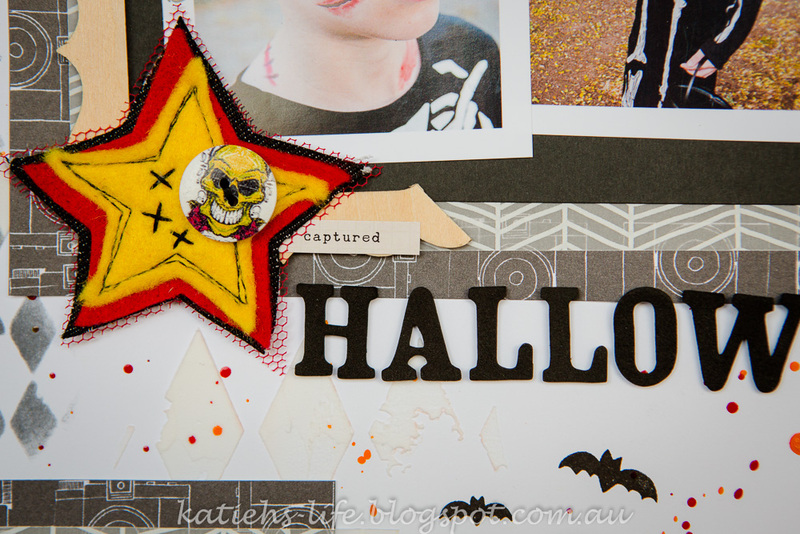 I decided that some Halloween photos of my DS friend were a great choice to use with the skull star and the star and the tabs were perfect for adding a pop of colour to an otherwise almost black and white page. 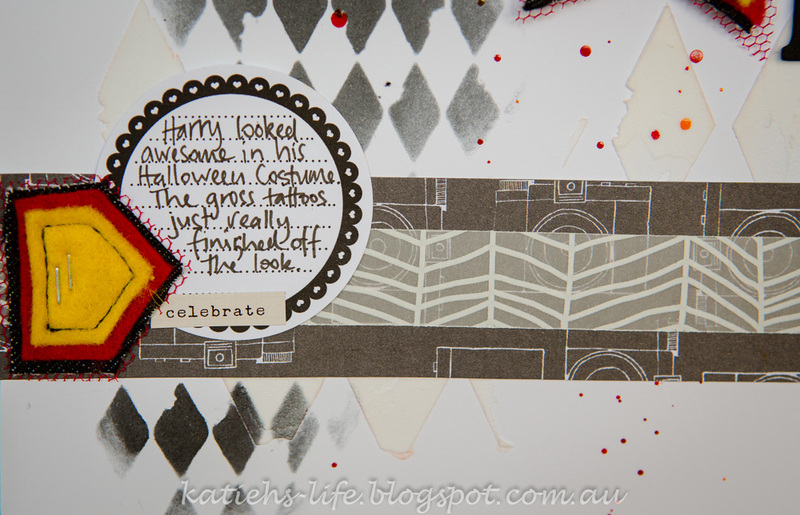 I love using my tiny attacher from Tim Holtz to add things to my page, but sometimes it doesn't have a big enough reach to do so. 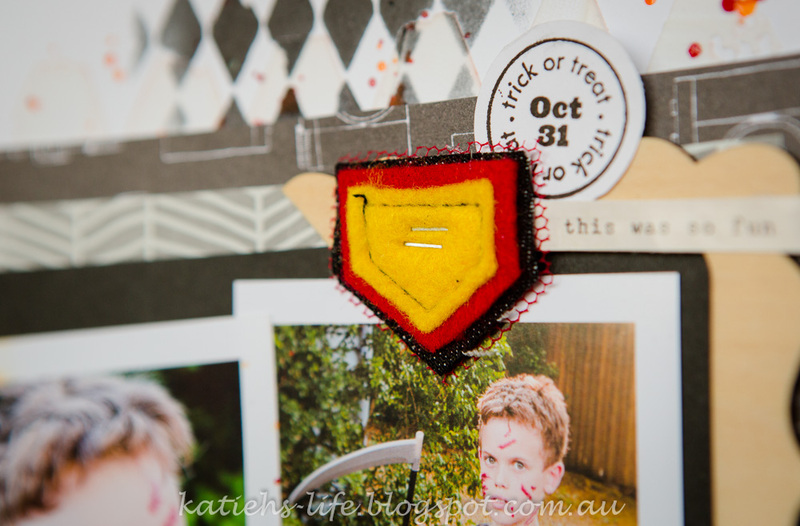 If that happens I add staples to the item first then glue/stick it down afterwards for the same effect. You don't have to keep the tabs in the "upright" tab position, you can turn them on their sides and make them like little arrows. This one points to my journalling. Don't you just love the look on that skull's face?! 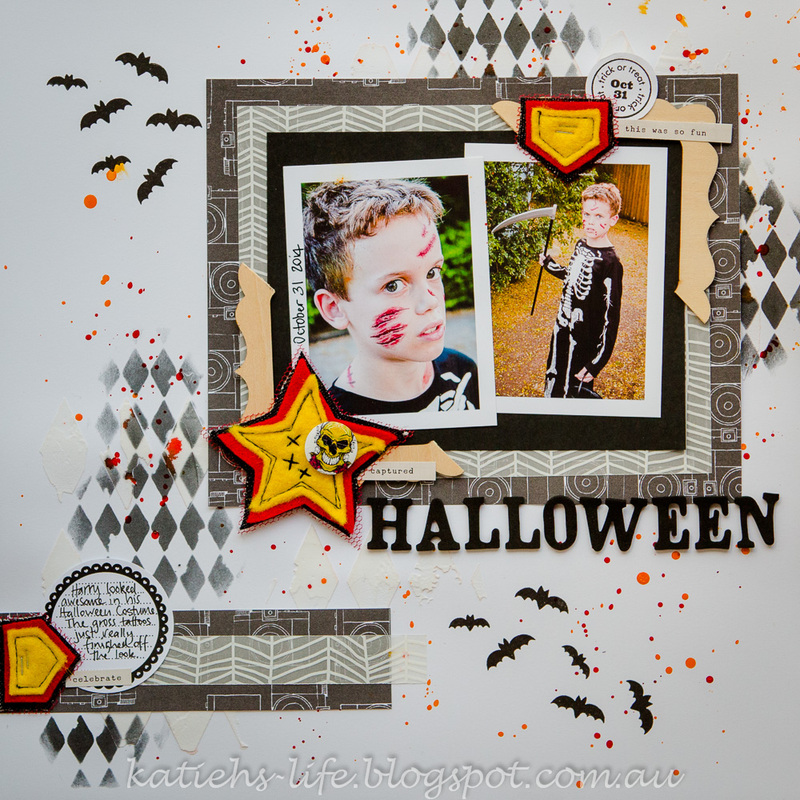 Perfect for Halloween or other boy daredevil type pages. You have until the end of the month to get your challenges done so make sure you check it all out here for the details.